Smash fans have been waiting ever since he was announced at last years Game Awards to get their first glimpse as Joker in Smash. 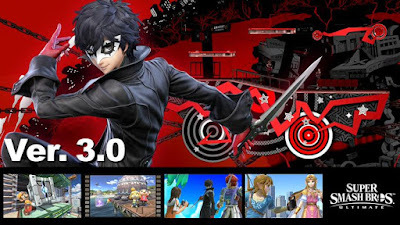 With months of silence, and direct rumors coming left and right, Nintendo has instead thrown a curve-ball and uploaded a 15 minute trailer out of the blue, detailing Joker, as well as more features in the Version 3.0 update. The free 3.0 update - which will be available on April 18th in Australia - will bring back the Stage Builder feature that was present in the previous titles, as well as a video editing feature, and an update to the Nintendo Switch Online app, titled Smash World, that will allow players to share and download stages and videos they've created. All this content will come free in the Version 3.0 update. These features are fully explained in the video below. Those who have already read our review may have an idea as to where this post is going. Whilst we mentioned this is still a great game, it just doesn't live up to Woolly World, and looking back on the titles development, we have come to learn this may not have been the case. 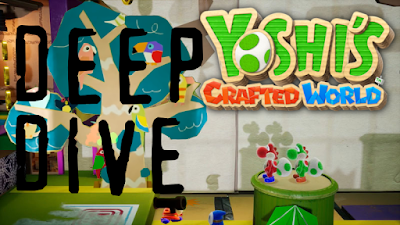 Join us as we deep dive into the development of Yoshi's Crafted World for the Nintendo Switch! Roughly a year ago, we were treated to a special leak of the Space World 1997 demo version of Pokemon Gold and Silver. Inside were a number of unseen Pokemon fans had no idea existed, as well as a bunch of Pokemon that were reworked into later generations. Much less known, however, was another leak earlier this year of an early build of Pokemon Red and Green versions, giving us yet another insight of early Gen I Pokemon. Join us as we take a look into which Pokemon have been scrapped, reworked, and which ones could see the light of day in the newly revealed Sword and Shield! 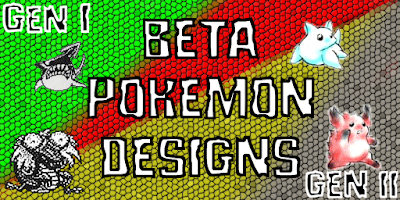 To make things simpler, we'll start off with Gen I before we head into Gen II, and start off with Pokemon whose beta designs were changed in the final. An early sprite sheet released on Japanese TV last year, and another one released in a Japanese manga, gives us a look at some very early Gen I Pokemon sprites.